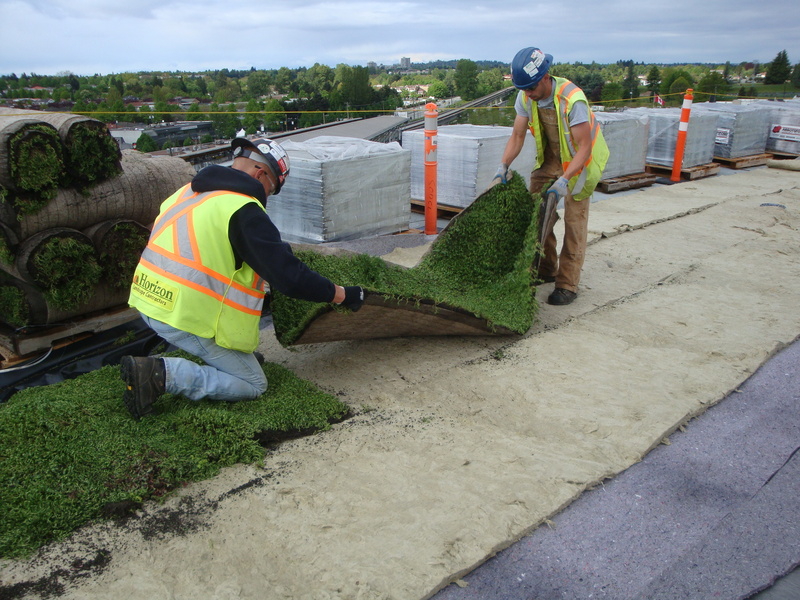 The most notable development to date in vegetated roofing is the production of the needled mineral hydro blanket – a non-petroleum and formaldehyde-free alternative. Knauf’s innovative needling manufacturing process provides dimensional stability without use of chemical binders. The needled hydro blanket is formed by mechanical interconnection of pure mineral fibers. This process forms a structurally stable, lightweight and porous material with longer fibers that maintains excellent water holding properties. It is consistently hydrophilic, even after various weather cycles throughout the year. Up to 90% of the material retains rainwater. When wet, the majority of the retained water is easily available for the plants uptake. The water absorption characteristics are not affected over time as nothing rinses away and will remain the same throughout the lifetime of the products. 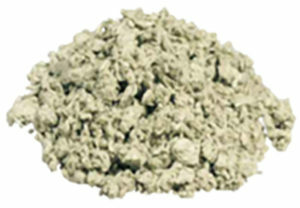 The above needled, binderless, mineral wool also comes in the form of small hydro cubes (about 0.7 cubed) or hydro flocks (0.1-0.7 inch pieces) to mix with traditional growing media. 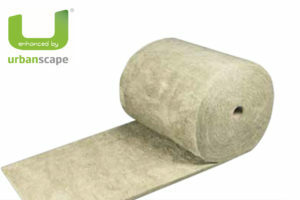 This is an innovative method of improveing traditional growing media. Cubes and flocks contribute to better soil structure, water holding capacity and aeration of growing media. The retained rainwater inside the hydro cubes or hydro flocks is easily available for plant uptake, improving plant survivability. 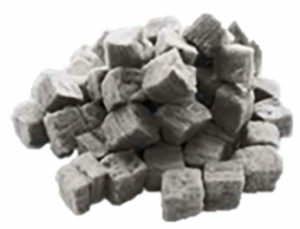 Cubes and flocks are specially recommended for patios, terraces and home gardening.